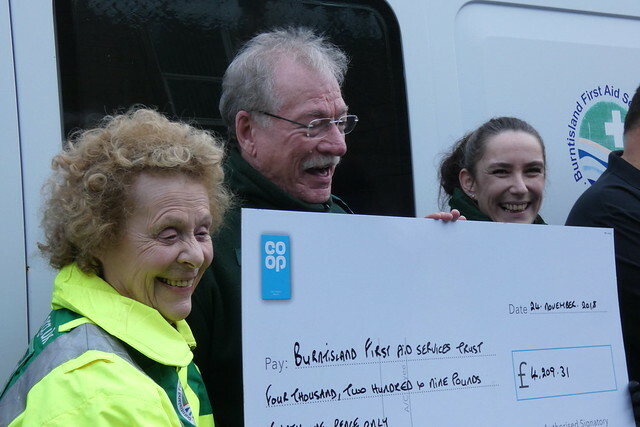 Alex MacDonald, Chairman of Burntisland First Aid Services Trust thanks the Co-op and particularly the staff of Burntisland’s two stores for support – and also all the shoppers who nominated BFAST as their choice to receive the 1% of their Co-op branded purchases under the Co-op Local Community Fund scheme. 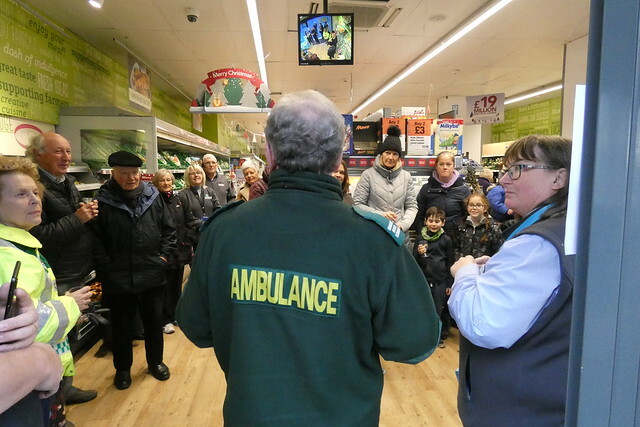 Alex said “I placed an order on Thursday for a new, top-of-the-range ambulance, at a cost of £97,000. 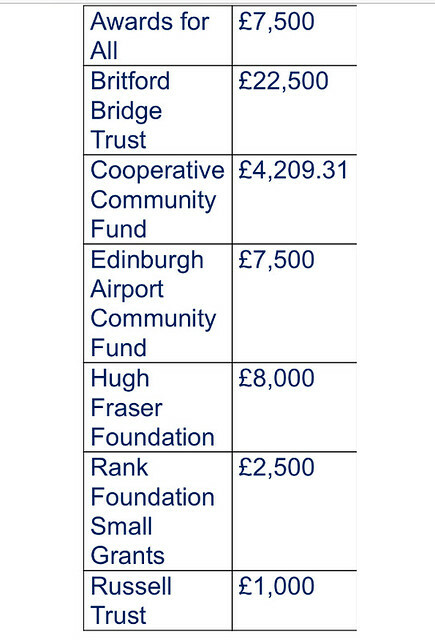 Roughly half of that comes from the accumulated donations which we receive from the 200 or so events that we cover every year, from Aberdeenshire to Ayrshire. The balance is from a number of grant-making trusts. However, in all cases it’s imperative that we can show local support. So we had a significant advantage in being able to say that we would be funded by part by the Co-op and their local customers. The new vehicle has 4×4 capability and is designed for ease of use by our volunteers, so that we can give comprehensive and early support to anyone who is in need.